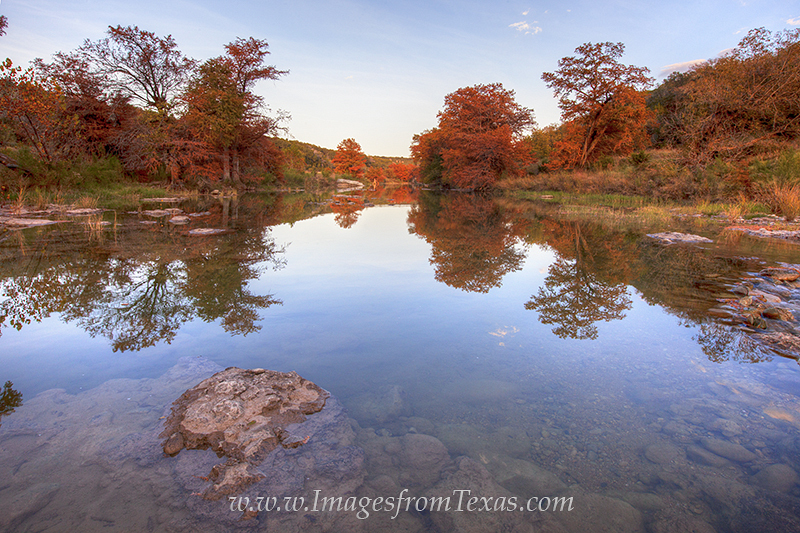 Along the Pedernales River in the Texas Hill Country, late November brings deep orange and reds to the cypress trees that rest beside the banks. The landscape is quickly fading to winter, but for a brief time it explodes in a beautiful array of Autumn color. Photo © copyright by Rob Greebon.